Lock your account with a password, preventing others from accessing your data. 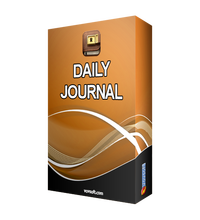 Daily Journal 4.2 was available as a giveaway on September 8, 2018! The main window includes a calendar that can be used to navigate between entries, and the built-in search function can make this task even easier. The program lets you choose between any of the fonts installed on your system, as well as change text size and style. Multiple user accounts can be created, and it is not possible to view the stored information without first providing the right password. Additionally, the application allows you to create encrypted backups, so you can always restore your data if necessary. How would you improve Daily Journal 4.2? I entered some data, changed dates, entered more data, then went back to the first date, and the data was gone. I got the idea that I needed to do a Save each time data was entered, and the data would be there when I went back to one of the dates i had entered data. I used Ctrl+S and that seemed to work, although there is no indication it is a valid key to use. After entering data for several dates, with a Save after each one, I tried changing the theme. Voila, the data I had entered for each of the dates was now gone. I was just testing anyway so i wasn't depending on the data to be there. I switched the theme back, and the data was still gone. I again tested entering data without doing a save after each entry. After doing a couple and seeing that the data does not remain, I chose one of the dates I had entered the data that had disappeared, and to my surprise, it was back. Very strange, but without Daily Journal being stable, it cannot be a viable product. The search allows to find an item entered. The date format is DD-MM-YYYY format. There is no option to change the date format, and that is the same way the data files are stored on disk. At least all of your data entered for a particular day number for any month or year will be together, for whoever thinks that best. To me, it should be at least chronological by date. If you clear a date's data, it is instantly removed from disk. There is no function to list all entries. The dates on the calendar become bold to show that there is data for that date, although it is so slight I didn't even notice it initially. To help find all data entries later on, you could enter a special character (e.g., ^ * &) for every entry, however you will probably forget at some point. If all of your entries are text, you can search on a common letter, such as a vowel but there will some that probably don't have the vowel, so you would need to search on each vowel, and you still would not have all the entries. You probably do have a space in the data though if it is multiple words, so a search for a space to see all entries might be helpful. If you were to store notes on disk and organize those files by date, in the same format as this program uses, then this program might make it easier to access, edit, and maintain the data, if you can trust the reliability of it. With the password, you could fool anyone looking over your shoulder so they would not know what files you are editing. Other than that, maybe the password is to prevent anyone from seeing the calendar. That is the only real reason I can see for the password, since as another user pointed out, the data is not encrypted on disk. The application is seriously lacking. I understand the intent, but I cannot figure out a use for this due to the security and reliability. I entered some data, changed dates, entered more data, then went back to the first date, and the data was gone. I got the idea that I needed to do a Save each time data was entered, and the data would be there when I went back to one of the dates i had entered data. I used Ctrl+S and that seemed to work, although there is no indication it is a valid key to use. After entering data for several dates, with a Save after each one, I tried changing the theme. Voila, the data I had entered for each of the dates was now gone. I was just testing anyway so i wasn't depending on the data to be there. I switched the theme back, and the data was still gone. I again tested entering data without doing a save after each entry. After doing a couple and seeing that the data does not remain, I chose one of the dates I had entered the data that had disappeared, and to my surprise, it was back. Very strange, but without Daily Journal being stable, it cannot be a viable product. The search allows to find an item entered. The date format is DD-MM-YYYY format. There is no option to change the date format, and that is the same way the data files are stored on disk. At least all of your data entered for a particular day number for any month or year will be together, for whoever thinks that best. To me, it should be at least chronological by date. If you clear a date's data, it is instantly removed from disk. There is no function to list all entries. The dates on the calendar become bold to show that there is data for that date, although it is so slight I didn't even notice it initially. To help find all data entries later on, you could enter a special character (e.g., ^ * &) for every entry, however you will probably forget at some point. If all of your entries are text, you can search on a common letter, such as a vowel but there will some that probably don't have the vowel, so you would need to search on each vowel, and you still would not have all the entries. You probably do have a space in the data though if it is multiple words, so a search for a space to see all entries might be helpful. If you were to store notes on disk and organize those files by date, in the same format as this program uses, then this program might make it easier to access, edit, and maintain the data, if you can trust the reliability of it. With the password, you could fool anyone looking over your shoulder so they would not know what files you are editing. Other than that, maybe the password is to prevent anyone from seeing the calendar. That is the only real reason I can see for the password, since as another user pointed out, the data is not encrypted on disk. The application is seriously lacking. I understand the intent, but I cannot figure out a use for this due to the security and reliability. no security at all no encryption and other "accounts" are just placed into other folders named the same as the account name... Now to test if this developer is a student or a programmer... BRB... ok it blocks accounting user names with non-legal file/folder naming characters like \ or : etc but also dissallows the space character.... it dissalows "." which is sort of a legal folder and file name character despite it having some special meaning too. The backup files ARE NOT ENCRYPTED but are encoded in the most inefficient way I have seen in decades. All the encoding is hyphen seperated numerical representations of the ASCII characters in the named journal file.... it is so inefficient because it expands 1 single ASCII character into upto 3 ASCII digits plus a hyphen seperator. Completely insecure and trivial to write a perl or python script to convert the backup files back to original journal text! "Daily Journal is a handy application that enables you to lock your account with a password, preventing others from accessing your private data." Even the passwords are not securely stored let alone the text stored as plain text ASCII files and the so called encrypted backups are just loosely and transparently encoded in a way that requires only rudimetary knowledge of the ASCII coding system! And they want someone to ever pay for this? Unbelievable! Please terrorists and criminals use this to keep your plans secure! This software is insainly irresponsible all it does is create plain text files in the naming format dd-mm-yyyy.dat no security at all no encryption and other "accounts" are just placed into other folders named the same as the account name... Now to test if this developer is a student or a programmer... BRB... ok it blocks accounting user names with non-legal file/folder naming characters like \ or : etc but also dissallows the space character.... it dissalows "." which is sort of a legal folder and file name character despite it having some special meaning too. The backup files ARE NOT ENCRYPTED but are encoded in the most inefficient way I have seen in decades. the 08-09-2018.dat file contains: ok this is some plain text to be added towards todays journal the corresponding backup file contains the plain text: 08-09-2018 111-107-32-116-104-105-115-32-105-115-32-115-111-109-101-32-112-108-97-105-110-32-116-101-120-116-32-116-111-32-98-101-32-97-100-100-101-100-32-116-111-119-97-114-100-115-32-116-111-100-97-121-115-32-106-111-117-114-110-97-108-13-10 All the encoding is hyphen seperated numerical representations of the ASCII characters in the named journal file.... it is so inefficient because it expands 1 single ASCII character into upto 3 ASCII digits plus a hyphen seperator. Completely insecure and trivial to write a perl or python script to convert the backup files back to original journal text! To add insult to injury... of all the hundreds of ways to encode or HASH a password this developer stores them in plain text in the registry key: HKEY_CURRENT_USER\Software\VOVSOFT\Daily Journal\Passwords and has the gall to use the words: "Daily Journal is a handy application that enables you to lock your account with a password, preventing others from accessing your private data." Even the passwords are not securely stored let alone the text stored as plain text ASCII files and the so called encrypted backups are just loosely and transparently encoded in a way that requires only rudimetary knowledge of the ASCII coding system! And they want someone to ever pay for this? Unbelievable! Please terrorists and criminals use this to keep your plans secure! or mistyped the URL, or maybe it's just us. Karen, does the download URL you end up have something like ".zip?hash=abf4bb42ad8e5524971ab35918c52a55" on the end of it? If it just ends with .zip the server will not let you have the file and present a 404 error like page. Could be some privacy settings or addon stripping the ?hash=.... off the final download URL.... can't help more than that without doing a remote support session and I won't be offering those services via GAOTD comments section sorry. 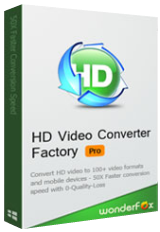 Try using the free version of CCleaner. Double click to open the program. Make sure Cleaner broom icon on top left is selected by clicking on it. Then you'll see two tabs, one is Windows the other Applications. Since you did not mention the browser you're complaining about, let's assume that it is Internet Explorer. That should be listed right under the windows tab. Select/check the following boxes... Temporary internet files, history, cookies, index.dat files and that's it. Making sure your IE browser is closed, now click on the Run Cleaner button on bottom right and you should be all set. If your browser is Chrome, Firefox or Opera, click on the Applications tab and look for the browser giving you problems. This time you'll tick the following check boxes.... internet cache, cookies, both history choices and session. Again, you'll make sure to close the browser and the click on Run Cleaner button. Hopefully that fixes your issue. Karen, Try using the free version of CCleaner. Double click to open the program. Make sure Cleaner broom icon on top left is selected by clicking on it. Then you'll see two tabs, one is Windows the other Applications. Since you did not mention the browser you're complaining about, let's assume that it is Internet Explorer. That should be listed right under the windows tab. Select/check the following boxes... Temporary internet files, history, cookies, index.dat files and that's it. Making sure your IE browser is closed, now click on the Run Cleaner button on bottom right and you should be all set. If your browser is Chrome, Firefox or Opera, click on the Applications tab and look for the browser giving you problems. This time you'll tick the following check boxes.... internet cache, cookies, both history choices and session. Again, you'll make sure to close the browser and the click on Run Cleaner button. Hopefully that fixes your issue. I am not familiar with the message you are seeing anywhere on GOTD. It may be caused by a hijacked browser. Did you click the link? If so, what page does it take you to? If not, then you might be able to find out without clicking. Right click on the link, and see if you see any entries like Copy link address. If you can find out where the link leads to, iI think it would be a better clue to solving your issue. If you have another browser installed, you try it to see if it does the same. If yo do not have another browser installed, you could easily install a different browser, and see if it does the same. If you still have no success, report back with where the browser link leads you do. Karen, >Don't fret! Just go to our home page and proceed from there I am not familiar with the message you are seeing anywhere on GOTD. It may be caused by a hijacked browser. Did you click the link? If so, what page does it take you to? If not, then you might be able to find out without clicking. Right click on the link, and see if you see any entries like Copy link address. If you can find out where the link leads to, iI think it would be a better clue to solving your issue. If you have another browser installed, you try it to see if it does the same. If yo do not have another browser installed, you could easily install a different browser, and see if it does the same. If you still have no success, report back with where the browser link leads you do. Data is in unencrypted form Disk:\Documents and Settings\[user]\Application Data\VOVSOFT\Daily Journal\[LoginUser]. JardaH, really? So they are intending multiple users to use the same windows account? no wonder they think password restrictions on an accounts access is a new thing... If users are kept as standard users and not as administators windows protects each accounts data using passwords as designed encryption can be added optionaly if desired. This is an older version too. cooper, password recovery email is not even required! they are in the programs current user software registry hive in plain text... anyone can open regedit and go look for a reminder! After install, the version shows 4.3. The version number on this page might be the initial intended giveaway, but after the update we actually get version 4.3.
cooper, After install, the version shows 4.3. The version number on this page might be the initial intended giveaway, but after the update we actually get version 4.3.
downloaded, setup, did small test run. checked about for update and noticed "unlicensed". so much for free license. not the first time this has happened with GOTD. better vetting is needed of the vendors. if these are trials - just say so so we know it is just for reviewing to decide if we feel it is worth paying for. You did not mention registering/activating the program. Did you complete the registration step? You need to use the license key in the readme.txt file to complete the setup. steve, You did not mention registering/activating the program. Did you complete the registration step? You need to use the license key in the readme.txt file to complete the setup. Software that communicate in the background with home base without our knowledge, it is a big NO NO for me. "Vovsoft collects information which is reasonably necessary for its services with the individuals to whom the information relates. The types of information Vovsoft collects will depend on the particular service we have with you. Our software products may collect information of usage and send it to server of Vovsoft over internet. This behavior is needed to improve the product and to fix bugs. In some cases, collected information may be personally identifiable, but we do not attempt to analyze any collected information to determine the identity of any user. Vovsoft will never publish personally identifiable information without your consent. Additionally, Vovsoft may publish anonymous broad demographic statistics about the usage of the product." Software that communicate in the background with home base without our knowledge, it is a big NO NO for me. From their web site: "Vovsoft collects information which is reasonably necessary for its services with the individuals to whom the information relates. The types of information Vovsoft collects will depend on the particular service we have with you. Our software products may collect information of usage and send it to server of Vovsoft over internet. This behavior is needed to improve the product and to fix bugs. In some cases, collected information may be personally identifiable, but we do not attempt to analyze any collected information to determine the identity of any user. Vovsoft will never publish personally identifiable information without your consent. Additionally, Vovsoft may publish anonymous broad demographic statistics about the usage of the product." Start with a new, different user(also with a password): Ok.
all entries of the other user could be read ? ? For years long, I did not install any software here, because the limitations of time frame / features and better FREE alternatives. East, What is the purpose of your comment? Why do you visit this site? East, and? your comment seems incomplete... did you miss out? : "but now I install everything now I've realised it's not just a 1 day license to try but most of the time a real non-expiring license and only uninstall the extended trial giveaways!" My comments intend to say that the offered software is "no good" use. Often crippled version(s) buggy, expire soon, older version(s) [newer or latest needed to buy]. I do not want to fill my computer with junk. How ever, I keep an eye here with the hope that GOTD will genuinely post real useful FULL/latest programs. TakeAbreak, My comments intend to say that the offered software is "no good" use. Often crippled version(s) buggy, expire soon, older version(s) [newer or latest needed to buy]. I do not want to fill my computer with junk. How ever, I keep an eye here with the hope that GOTD will genuinely post real useful FULL/latest programs. Plain and simple. TakeAbreak, I find the descriptions very clear about what you are getting. And a one year license is still a giveaway. You and East seem to miss the point of the site. You are trying out software that you will hopefully then buy. There are plenty of places on the web for you to steal software if you are just looking to get stuff without paying the creators. Bill, I'm trying out software which IF I like or find potentially useful I will recommend it to those I deal with that is the potential money maker for the software contributer NOT the at best 1:1 conversion of giveaway recipient to customer this is a marketing platform and we are part of the product giveaways live or die upon our recommendation to those in our personal and professional circles if we are treated as the pottential customer on a squeeze page we will not be recommending the product or the contributor to others as that is not what this project is here for! We are not a captive group of fools sucked into a bait and switch with a promiss of a fully licensed commercial product and not a trial or crippleware edition that may never be sold and may only be rented in the case of a given away trial. So, I'm wondering if this is really secure (or not). Is the Journal stored in clear text in a file, or is it encrypted in some way? If the only protection of the password is to limit casual access, but not encrypting the contents in some meaningful way, then by all means do NOT use this software. The offers here are becoming increasingly unbearable. Pure promotion garbage nobody really needs! Adorno, I read the comments to find out what the offered programs are like, how the work/don't work etc. I really appreciate constructive comments either negative or positive. Reginald, for such people, this promotion platform is provided. What can a program do, does a program work? You do not get any good software here. Even if you believe it every day! It's just advertising, not really useable! Visually, Daily Journal gives a poor first impression. After having a look at the website, and their other software - I can't help but suspect that this is some student(s), making software in Visual Basic 2008. Nothing wrong with that, and kudos to them for learning. They say they do it for "entertainment" in their "about us". I've given it a quick try, and Daily Journal does what it promises. I can't tell how secure it is - I wasn't able to find out where it stores the password - maybe someone else can? It doesn't crash violently, it just does its job. The only thing I can find wrong with it, is the user interface. It looks old, outdated. The fonts and images are inconsistent throughout the different forms. It gives a bad first impression. I'm sorry to say but I don't think it's polished enough to be sold. That's what GOTD is supposed to be about - publishers submit their software here, to get constructive feedback and improve their products - users get free software for doing it. Best of luck to you, people behind vovsoft. Also, whatever you do, don't use other people's artwork/graphics found on Google. It's not cool, just saying. Visually, Daily Journal gives a poor first impression. After having a look at the website, and their other software - I can't help but suspect that this is some student(s), making software in Visual Basic 2008. Nothing wrong with that, and kudos to them for learning. They say they do it for "entertainment" in their "about us". I've given it a quick try, and Daily Journal does what it promises. I can't tell how secure it is - I wasn't able to find out where it stores the password - maybe someone else can? It doesn't crash violently, it just does its job. The only thing I can find wrong with it, is the user interface. It looks old, outdated. The fonts and images are inconsistent throughout the different forms. It gives a bad first impression. I'm sorry to say but I don't think it's polished enough to be sold. That's what GOTD is supposed to be about - publishers submit their software here, to get constructive feedback and improve their products - users get free software for doing it. Best of luck to you, people behind vovsoft. Also, whatever you do, don't use other people's artwork/graphics found on Google. It's not cool, just saying.